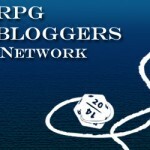 Tomorrow (06/15/2013) is Free RPG Day! Hooray! If you’re new to gaming, or looking to get back into gaming, or want to give a new system a spin, or willing to accept any excuse to play an RPG, tomorrow is a great day to do it. Also, tomorrow is a great day to find the nearest FLGS (Friendly Local Game Store) and show them some love. And don’t go telling me that you don’t know how to find a good olde fashioned FLGS, just pull up the map and find one. That’s an order, dammit!